AC Milan appear to have a genuine interest in signing Santos left-back Zeca this winter. 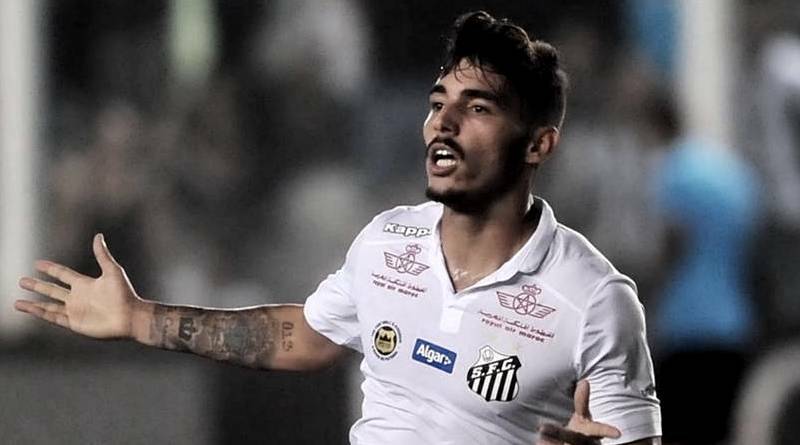 According to the football transfer rumours in Italian Media (Il Milanista), AC Milan are eyeing move for Santos left-back Zeca. The Brazil international has joined Santos from América-SP in 2009. The 23-year-old has a valid contract with Santos until June 2020. Zeca made 76 appearances across all competitions for Santos, scoring two goals and supplying six assists in return. The 23-year-old is considered to be one of the best left-backs in Brazil. Zeca has represented Brazil at Under-23 level, winning two caps. The Brazil international will be high in demand in January, with him having enjoyed a sublime season for Santos this term. Adding a left-back remains AC Milan’s priority this winter and Vincenzo Montella will have drafted a shortlist of a number of possible targets he could approach in the coming months. The report claims that AC Milan manager has extensively scouted Zeca and is considering a move for the left-back. The Brazil international is thought to perfectly fit the profile of defensive player Vincenzo Montella wants to target in the winter transfer window. According to the report in Italian Media, Zeca is now ready to make the move to Europe. AC Milan have sent scouts watching the fullback this season ahead of the January transfer window.